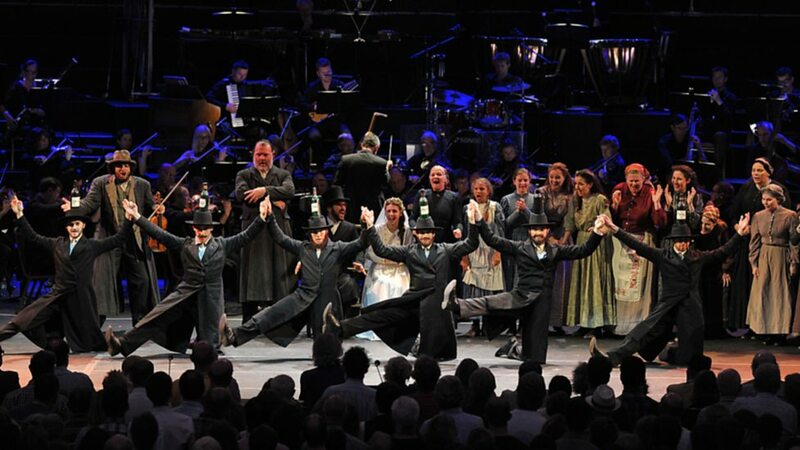 Not an empty seat in the Albert Hall this evening for Prom 11 – Fiddler on the Roof the lead performed by Bryn Terfel. 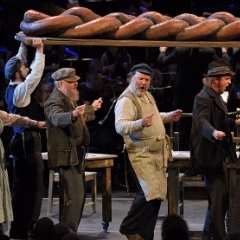 I’ve seen Fiddler on the Roof on stage several times and was intrigued to see how they would perform it on the stage as a Prom. Remember there’s no real set, no backdrop, no scene changes and a huge audience surrounding the stage. I wasn’t disappointed. Bryn, and the supporting cast, together with an incredibly fine orchestra, took the entire audience with them on a journey through the story of Fiddler on the Roof. The performance had been stripped back to the original script, music and song – perhaps a harsher and more honest version. A long performance but worthy of much applause. Even the youngsters a few rows in front of me, up way past their bedtimes, seemed glued to the stage and were also caught up in the story.